The name of the game is No Limit Texas Hold'em, the game is deceptively simple and only takes a minute to learn but a lifetime to master. 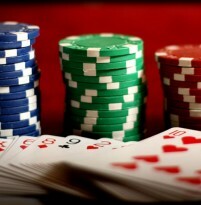 Many people have watched Texas Hold'em tournaments on television and it looks easy to play. However before you race down to the casino and sign up for a high stakes tournament you need to learn the basics of the game. The objective of Poker is to win the pot. Welcome to the New FreePoker.net! 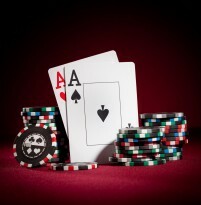 Welcome to the new FreePoker.net, where you can play free, online Texas Hold'Em poker games with no downloads. Whether you are a Texas Hold'Em beginner, or you're a seasoned player looking for a great poker game, you've come to the right place. FreePoker.net is one of the most user-friendly Texas Hold'Em sites online, offering all players action-packed online poker with real cash and prizes. Since FreePoker.net is completely free, feel free to be as daring.